I like “panning for gold” in the Bible too. Some treasures are lying on the surface, waiting to be picked up and cherished. Other treasures are buried just beneath the surface, and require a little more work, a little more digging. Still others take so much time and attention that sometimes we wonder if we’ll ever understand them, until all of a sudden, it happens! Something jogs our memory, a circumstance of life fills in the gap we’re missing, or all of the pieces of the study fall into place. We get it. We understand. And the sifting and digging were worth it. The Bible study writer is an adventurer, a hunter of gems, a treasure enthusiast. We hunt for treasures in Scripture—truths that show us who God is, who we can be in Christ, and how life works with Him. We hunt for understanding so we can know the truth and live it, and so we can share the treasures we’ve discovered with others. It’s always been hard for me to sit still and read commentaries. Till I saw the understanding—the treasures—they supplied. Yet commentaries aren’t the only way to know what Scripture is talking about. 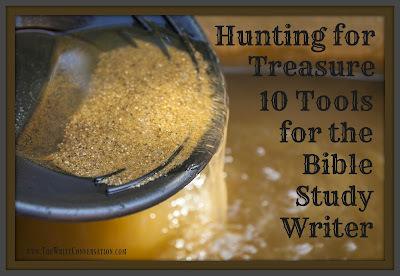 There are at least 10 tried and true “sifting and digging” tools that help us to discover the treasures in the Bible. Do you have all of them in your tool box? 1. 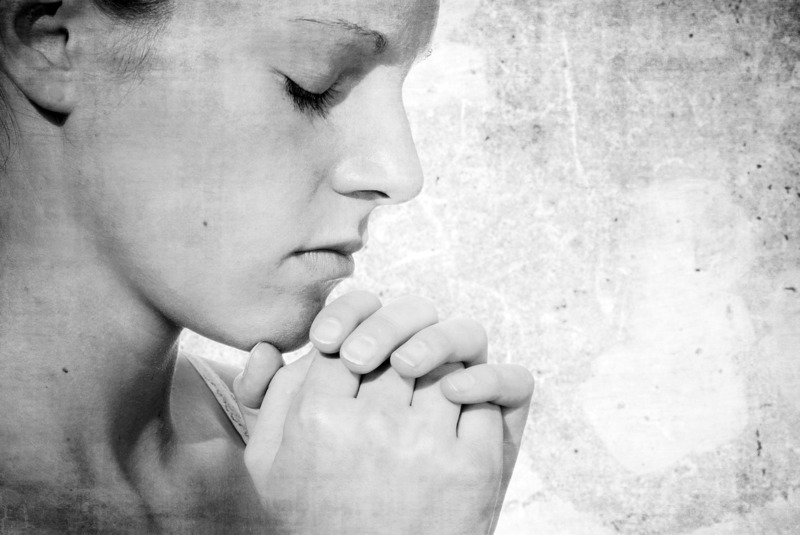 Prayer – Ask God to open your heart and mind to understand Scripture, and thank Him for the understanding He gives. Ask Him to show you the nuggets of gold that are sitting on the surface and to lead you to discover the treasures that are lying a little beneath it. Ask Him to prepare your heart to understand the deeper truths of His Word and to see how to apply them in daily experiences and circumstances. 2. 5 Ws and H – Ask who, what, when, where, why, and how about the people and events in a passage, and how they illustrate spiritual insights. Write down the answers that come to mind so they can simmer while you study. 3. Repeated Elements – God uses repeated words and phrases to emphasize what He wants us to know, understand, and practice. These words provide “ready” treasures and points of discussion for a small group and points of reflection for a personal study. 4. Contrasts & Comparisons – Word pictures are powerful teaching tools. Identify these by looking for the key word “but” for contrasts and the key words “like” or “as” for comparisons. Sometimes God emphasizes major truths with these two tools. 5. Context – This is the screen, the pan, the setting which helps us to see treasures that we might otherwise miss. The context of a chapter and book of the Bible brings to the surface specific application we can find in a passage. 6. Bible Dictionaries – These scholars have already done some of the sifting and digging for us. Plus, they know the difference of how words were used in Biblical times versus how they are used today, and they explain it to us. 7. Cross-References – These compare treasures with treasures. They also furnish additional insight as we use Scripture to pan for more understanding. 8. Lists – Sometimes Scripture helps our treasure hunt by organizing great elements together. Looking for God’s names in a chapter or passage, or what Jesus can do, how to persevere, how to overcome obstacles of the Christian life, and so forth, can enrich our understanding. This process can also give us topics for discussion or reflection. 9. Application – Look for priceless treasures. Ask yourself if there are any promises to cherish, instructions to obey, truths to believe, encouragement to accept, or warnings to heed. 10. Trustworthy Commentaries – Build on the understanding (and treasure hunting) of the generations who have come before you. Even if it takes two hours of research for us to write five minutes worth of reading material, those five minutes may change someone’s life forever. Keep using all the sifting and digging tools God has given us, and I hope your own heart is blessed with the treasures you find. What tools do you use to understand Scripture better? Keep up the treasure hunting, and don’t forget to join the conversation! Katy, This post is a treasure. May I share these tips with our home-school group? I get Holy Ghost goose bumps when I fine a treasure in the Bible. My favorite, the original Old Testament word tiqvah, (means hope) it is interchanged with the word rope/chord in the book of Joshua. Rahab looked to the chord of hope in the window as she waited to be rescued from her dark world. You know the rest of her amazing story. Thank you for this post, my friend. Yes, you may share it, Cherrilynn! That meaning of "hope" is a special treasure. Thank you for sharing it and for commenting today. Great thoughts, Katy! As I read the post, I couldn't helping thinking that sometimes if we go back and "pan" the same "dirt" over and over, we find some gem that we had missed in all the earlier efforts. Thank you for the added insights. That is true! So many treasures can lie in one passage of Scripture. Thank you for sharing that, Dennis.